I guess I should start this by pointing out that I'm caffeine sensitive. A heart- racing, hands shaking,eyes glazing kind of sensitive. 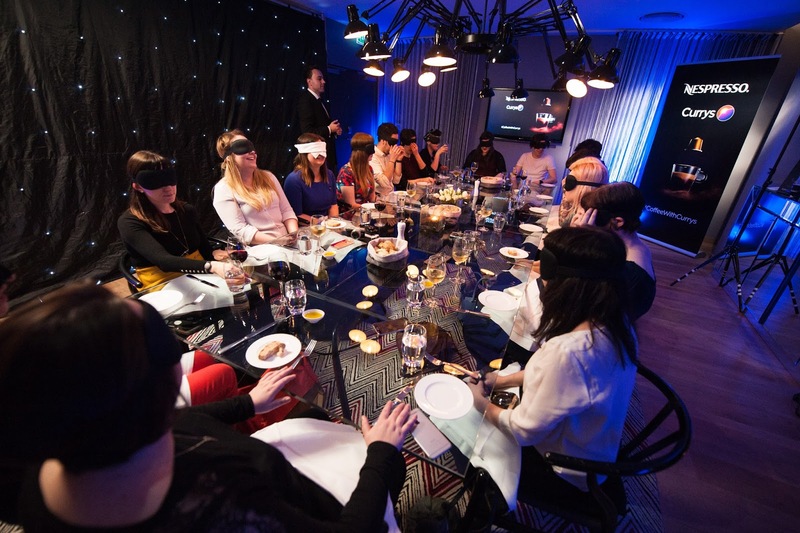 So when Currys and Joe Blogs invited me along to try out a sensory dining experience that centred around coffee, I thought "this is going to be brilliant... but I may be awake for days." You've got to try everything once, right? 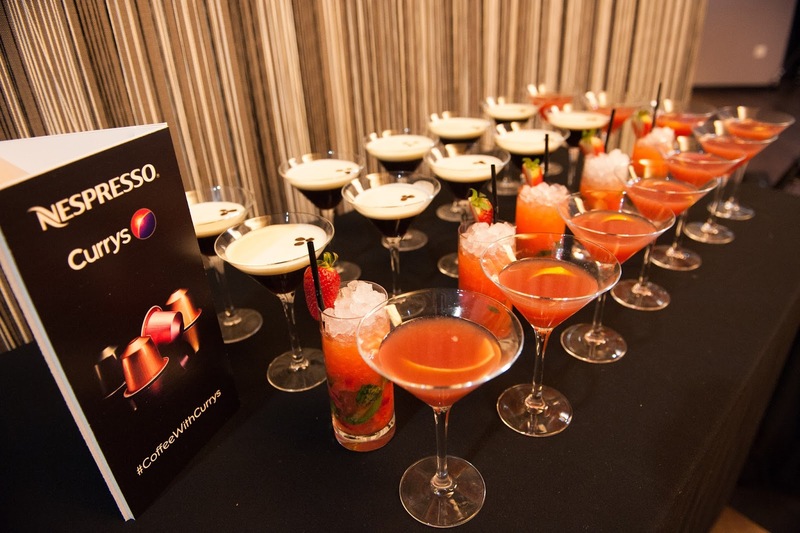 Currys put together this fun event at the gorgeous G&V Hotel Edinburgh to celebrate the release of the new Prodigio machine. And after the demo I can see why it was being celebrated- the Prodigio machine is actually pretty damn cool. You can programme the whole thing from your phone or tablet with a nifty app. As well as a lazy way to pour your coffee, you can order replacement capsules. Like a teasmaid of the future, you can even set an alarm for it to come on so you can literally wake up and smell the coffee. 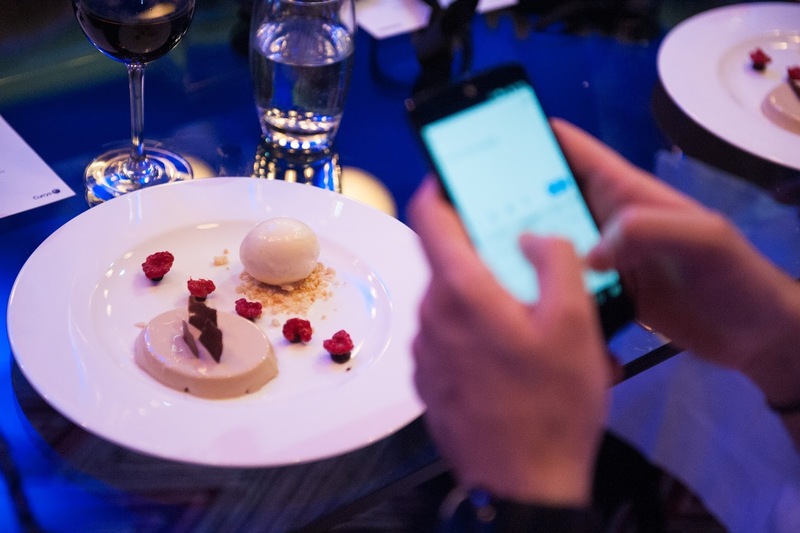 The dinner was billed as a surprise sensory experience but I was so intrigued by the idea of the coffee twist on each course in the secret taster menu that I sort of glazed over that part. Imagine my surprise when the blindfolds were brought out! 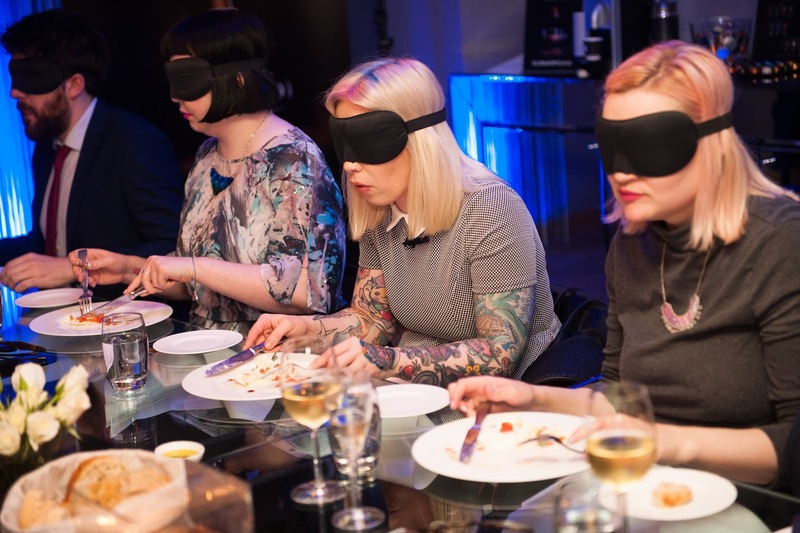 Giggling nervously and muttering 50 shades puns, we were instructed to place our hand on our knife in order to navigate our way all our other tableware (like that free- flowing wine) before we covered our eyes. It was interesting chasing the mozzarella and tomato jam starter around my plate and trying to cut off a politely sized piece for eating. The coffee worked really well in the sweet tomato jam and it was tasty but when I removed my blindfold I'd pushed most of is aside and had just been swiping a big circle on the plate. It was a fun intro to the Italian menu. Next was a coffee flavoured risotto. When the cloche was removed the aroma was amazing. It had quite a strong bitter flavour, although the coffee used was a more delicate one. Yep, we sniffed coffee pods between courses to compare the aromas and they were surprisingly different. 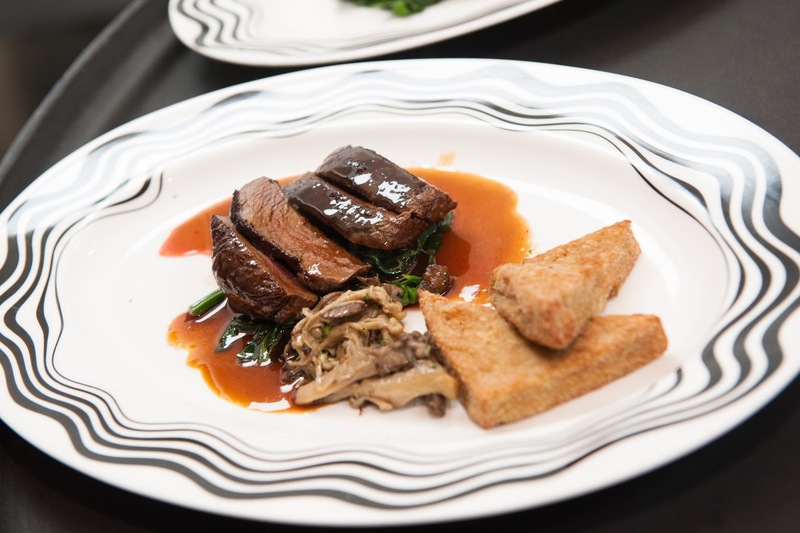 I really enjoyed the venison main's coffee twist, which was a fried custard. I know, fried custard- what? Flavoured with coffee, they were crispy triangles (above) a smooth texture like a potato fondant. It divided the room but I really really enjoyed it. For dessert you can't go wrong with a pannacotta and ours came with a chocolate and Nespresso coffee crisp. Although we jokingly complained that it was too shiny to photograph, this was a nice wobbly finish to the food. Now all we needed was an actual cup of coffee to complete the evening! Over plates of truffles we got the chance to try out the Nespresso Prodigio machine for ourselves using a tablet to programme in the style of our chosen brew. I had mine with frothed fresh milk from the Aerocinno system, which is my fave bit of all Nespresso machines. I love a sweet milky drink. What else? 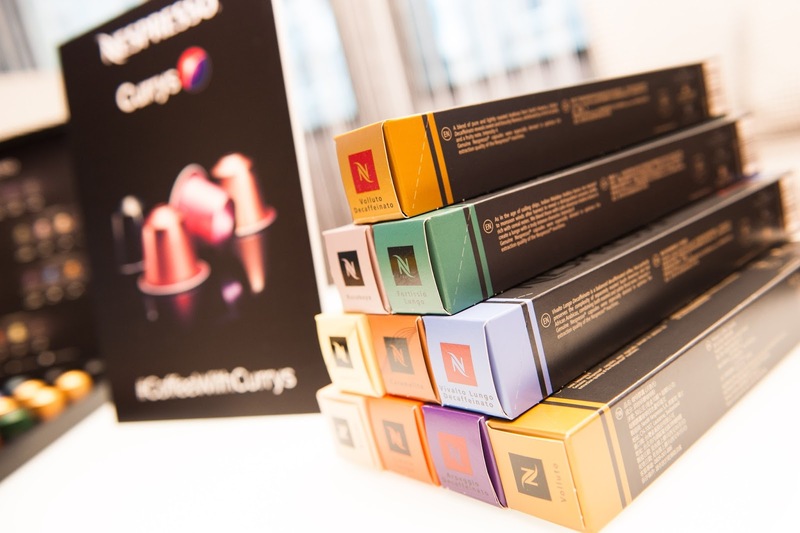 Thanks to Currys and Joe Blogs Network for a great caffeine-fuelled evening. I'm still buzzing.